George joins a distinguished list of former “Alumni Award” winners, including Alan Page (Notre Dame), Bo Jackson (Auburn), Tony Dorsett (Pittsburgh), Herschel Walker (Georgia), Mark May (Pittsburgh), Tim Brown (Notre Dame), Doug Williams (Grambling State) and last year’s recipient Orlando Pace (The Ohio State University). Born in Philadelphia, Pa., George played prep school football at Fork Union Military Academy before attending Ohio State. 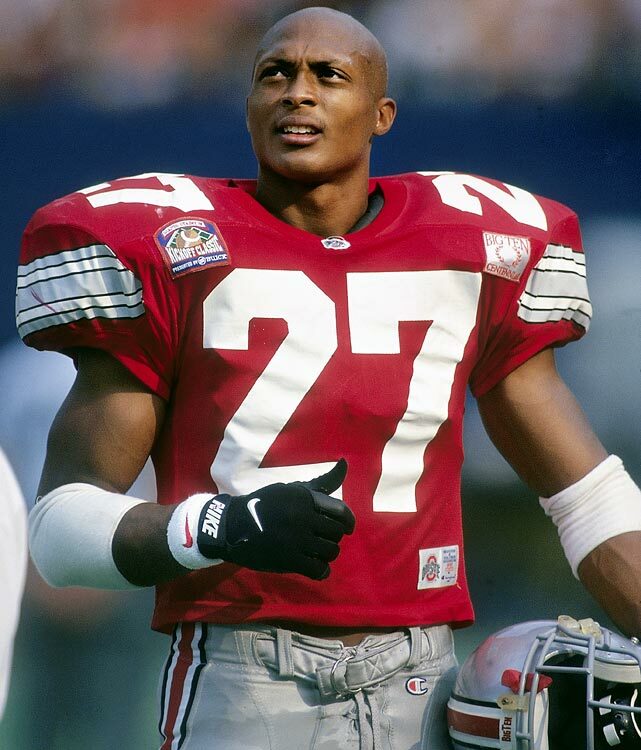 George excelled in his final two collegiate seasons (1994 and 1995). As a senior, he rushed for 1,927 yards and 24 touchdowns and was a unanimous All-American and was named the Walter Camp Player of Year and Heisman Trophy winner. Selected in the first round (14th overall pick) of the then-Houston Oilers (now Tennessee Titans) in the 1996 NFL Draft, George earned NFL Rookie of the Year honors his first professional season. 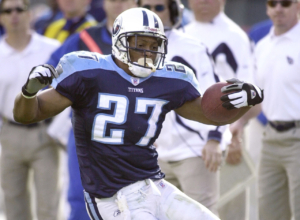 He proceeded to make four Pro Bowl appearances, and led the Titans to Super Bowl XXXIV. George never missed a start over eight seasons, and accumulated 10,441 career rushing yards and 68 touchdowns. George also played for the Dallas Cowboys before officially retiring in 2006. Following his playing career, George was inducted in to the College Football Hall of Fame in 2011, and then earned an MBA from Northwestern’s Kellogg School of Management and has become an entrepreneur through his company, George Enterprises. In 2016, he even appeared on Broadway in the play Chicago, showcasing his acting abilities.